Associate Pastor Rev. Dr. Meghan Howard says the answer became clear. 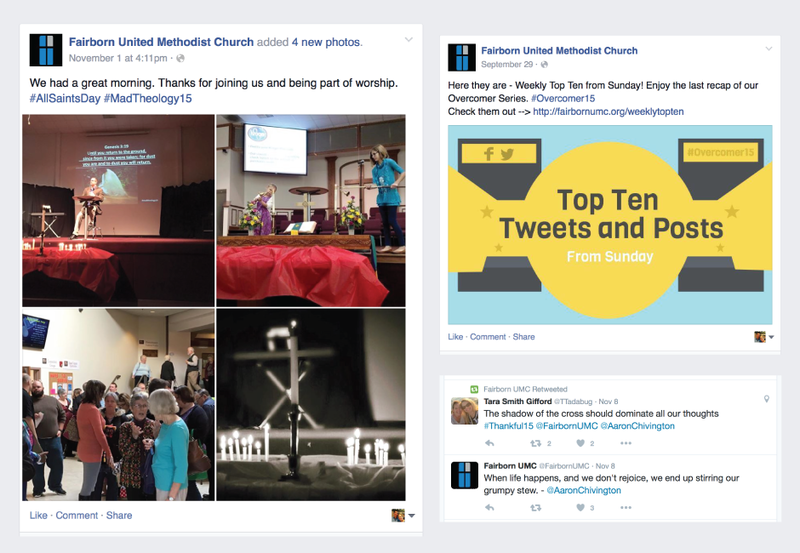 As leaders at Fairborn UMC became more focused on social media, several strategies became key to increasing interaction. Those attending worship are encouraged to tweet or post images, memorable moments, quotes, funny moments or anything that helped them engage in worship. On most Sundays, Fairborn UMC provides a "tweet-able or post-able" phrase that sums up the sermon. They also make a point to tell people to actually post that phrase. At least once every sermon series, the church does a Q&A at the end of a message where the pastor will answer questions submitted on social media from the congregation. They also encourage those watching online to tweet/post questions. 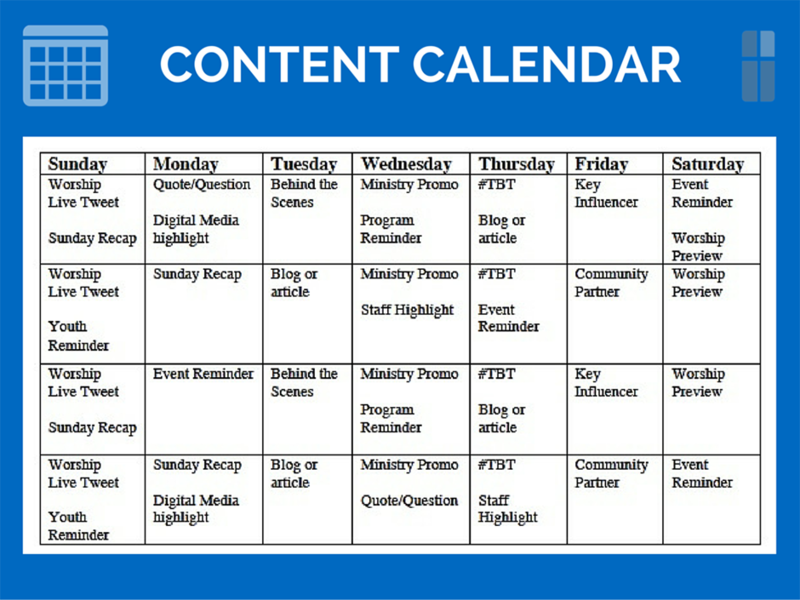 The church created a 28-day content calendar to streamline communications into an intentional and focused manner rather than just posting/tweeting on a whim each day. On a regular basis, Fairborn UMC uses analytics tools, along with A/B testing, to measure how successful various types of posts are in reaching people. While Meghan would tell other churches that implementing a strategy like this takes time, she says the results are worth it. Great communication takes intentional planning and this entry from Fairborn UMC is proof. The church developed a plan, made adjustments while reviewing analytics and found a way to make it easier for congregants to share their church with their friends. It’s a great model for a church of any size. Fairborn UMC wants to add an app to their digital communication toolkit. Meghan believes the app is key to growing engagement with the congregation and the community. It will feature incentives that reward people with points and badges as they attend church, get involved with community outreach, attend community events, donate items and more. The church is learning from popular incentive-based apps like FitBit and Nike+.